A hearing by the Senate Judiciary Committee’s Subcommittee on Immigration, Border Security and Citizenship discussed ways to fix employment eligibility in the country. The system would be mandatory and apply to citizens and non-citizens who would use the system to verify employment eligibility. 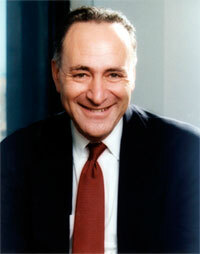 The system would have no other purpose than to verify employment eligibility, Schumer says. This report differs from what some officials were telling SecureIDNews.com. Some said that a smart card with match-on-card technology would be issued on a voluntary basis and could also be used for online identification. Read that story here. Gutierrez says using this type of system will provide worker with greater power and access to employment records, prevent pre-screening and misuses by an employer and reduce fraud because an individual would have to swipe a card and verify a biometric in order to be verified. It would also require employers to have equipment to verify the card and biometric. “I think Congress and the American people will want to have a clear understanding of how such technology works, how their privacy will be protected, the process and cost of rolling out access to employers and how it will be paid for,” Gutierrez says.